Generic Slings « A.P. Webb Plant Hire Ltd. 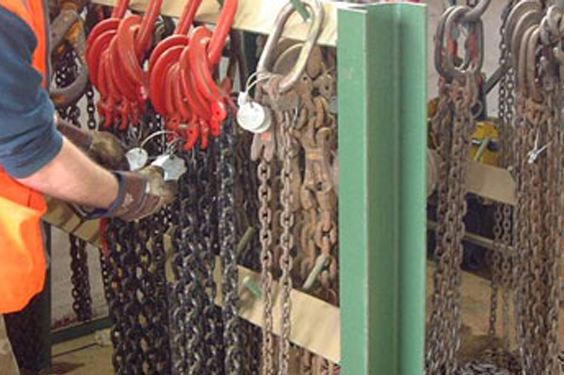 Various chains for loose lifting. Safe Working Load 1 Tonne to 7.5 Tonne variants. Single leg, 2 leg or 4 leg variants. Various sling hooks, safety hooks or sling hooks. Lengths from 1 Metre to 4 Metres. Safe Working Load 1 Tonne. 2 leg, 1.5 m length. Choice of pandrol or fast clip hooks. Used for handling individual sleepers.